There is a certain category of toys that dads buy for their kids to play with by themselves. Those are games consoles, remote controlled copters, all sorts of drones, and — mechanical models. The passion to create lives in every person’s heart and can never vanish completely. Today we want to review the most extraordinary mechanical model kits of recent years, which are either a puzzle or a toy for adults or even an engineering project. 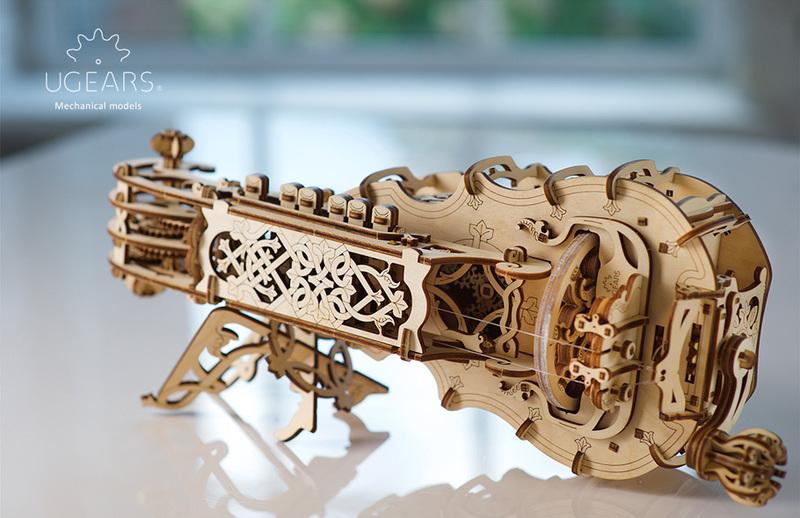 Introducing Ugears and its Hurdy-Gurdy Campaign on Kickstarter. 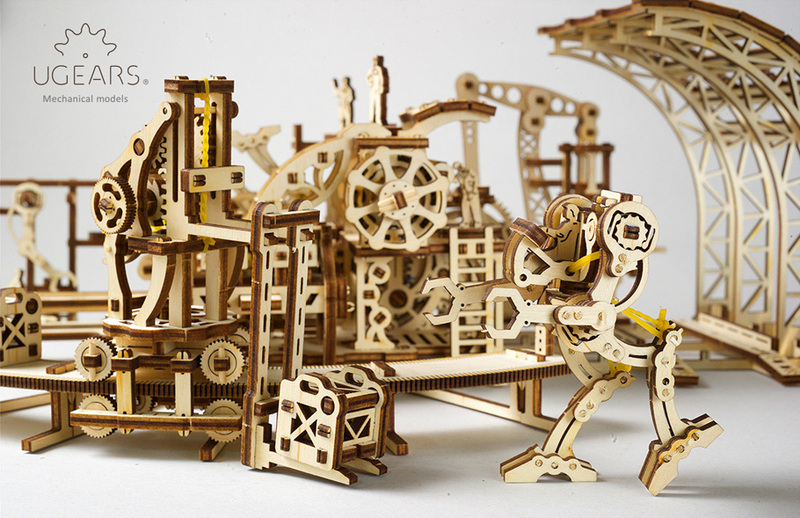 Essentially, it is a wooden construction kit (or 3D-puzzle if you like) containing differently shaped details pressed in plywood sheets. The details are outlined with a CNC laser cutter that provides precise hairline cuts. The details come together in a mechanical model with attractive bold elements such as gears and drives. This however is only a formal description. UGEARS is a very unique “hybrid”. First of all, it is insanely exciting to assemble. The creators made sure you get to enjoy it from start to finish. Virtually, from unpacking (the packaging design deserves a separate credit, not to mention the amazing wooden smell when you open it) to reviewing a step-by-step instruction manual that leads you through your Ugears-adventure – captivating and thorough assembly process and observation of the outlines of your model coming together. Furthermore, the completed model turns into a mechanical miracle, Ugears makes sure that the fully assembled model remains entertaining and interesting. UGEARS collection includes 23 models of intelligent design. The hobbyists are assembling UGEARS models in 85 countries across 5 continents. UGEARS models literally unite generations. This is the best way to engage constantly busy dads in playing together with their children and making real things together. 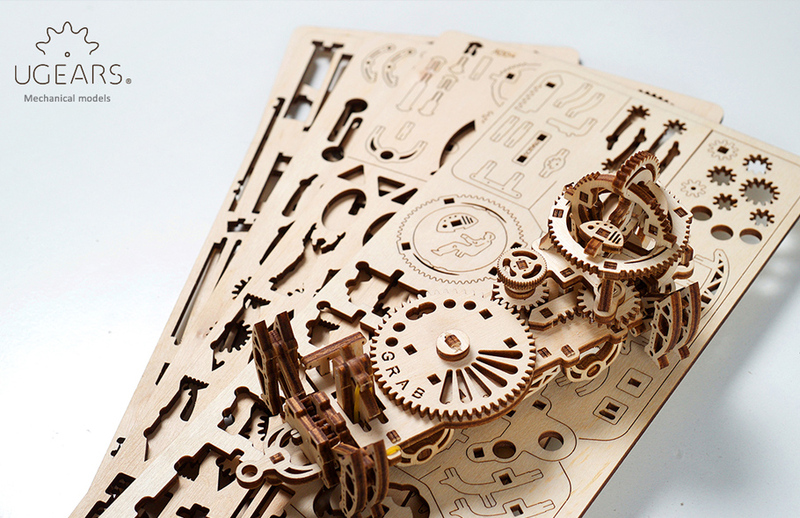 The Ugears puzzle hobby will get you off the smartphones and tablets for a few hours and brings the true joy of being creative with your hands and minds. 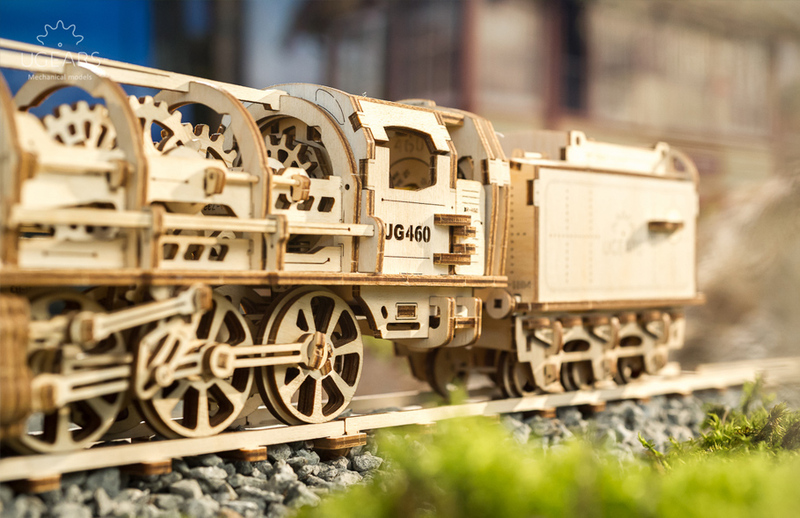 Made of sustainable, eco-friendly wood, each UGEARS model assembles easily and needs no glue or special tools due to our patented plywood joints method and easy-to-follow colored instructions. After assembly, instead of becoming a simple static display, each model is capable of a unique and fascinating range of self-powered movements. All without batteries, it's propelled using rubber bands, cranks, gears and gravity. 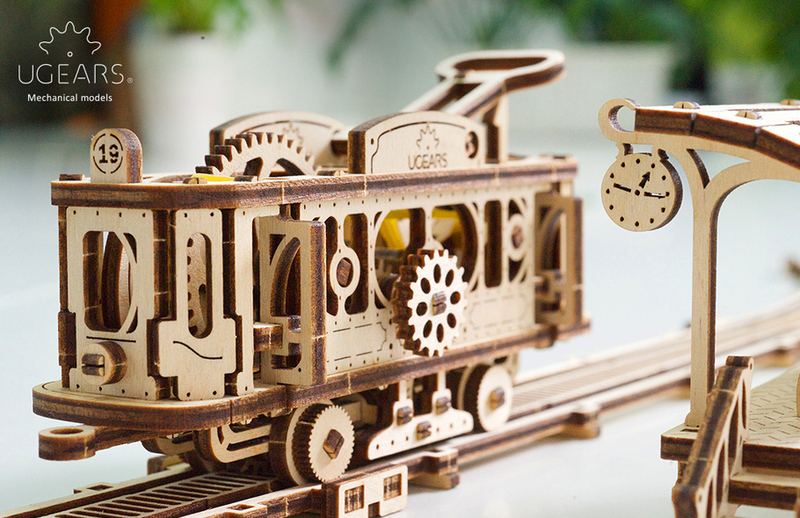 Today Ugears presents the range of new models: Ugears Hurdy-Gurdy, Date Navigator Model, models from Ugears Mechanical Town Series: a Tram Line, a Rail Manipulator and a genuine Robot Factory, U-Fidgets-Tribiks, Ugears coloring 3D models for kids. The hurdy-gurdy is a string instrument that produces a sound resembling one of a bagpipe by a hand-turned wheel rubbing against the strings working similarly to a violin and a fiddle bow. The history of this instrument started in the 15th century when it became a popular instrument among travelling musicians in Europe. There is a cool interpretation of Hurdy-Gurdy: a medieval rock’n’roll. Inspired by the art of medieval craftsmen, enriched by smart engineering of the XXI century and created by Ugears engineers' collective imagination. Richly detailed with an eye toward romance and artistry, our version of this indelible symbol of medieval life and adventure impresses all who come across it and get a chance to play it. The Ugears Hurdy-Gurdy is a fully fledged musical instrument. It’s easy to play: just turn a crank with one hand putting the rhythm into the music and push the keys with the other. A unique combination of good taste, wood and mechanics. An awesome gift and smart hobby idea for your friends and family. Just build it together with your own hands and feel like Stradivari or a popular Hurdy-Gurdy star! Feel free to contact us for any additional information, hi-resolution video and photos.